How do I figure out what to write about? How do I structure my essay? Is there a step-by-step process for writing the essay? How do I revise my essay? How do I make my essay not-boring? Any tips for how to start the essay? How do I demonstrate my intelligence? How do I brag in a way that doesn’t sound like I’m bragging? How to do I make my essay, like, deep? How do I end my essay? How do I write a great last line? How do I make my essay amazing? How do I know if my essay is good? What do I do if my essay is just “okay”? Should I share my essay? With how many people? When? share your purchase online or buy multiple copies and get serious bonuses! Click here if you want to skip all this and just buy the book for just $10.77. That’s less than the Eggs Benedict w/ Hollandaise at the cafe I’m at right now (and my book has like a thousand fewer calories). Here's a sneak peek at the Values Exercise video. GIVE IT TO ALL MY JUNIORS!" Are you a counselor interested in buying copies for your students? 12 hrs of live lessons and Q&A with me so you can complete (or help your students complete) your personal statement in one week. This is for students AND counselors! Can’t make the times listed? Don’t worry; I’ll send you the recordings. 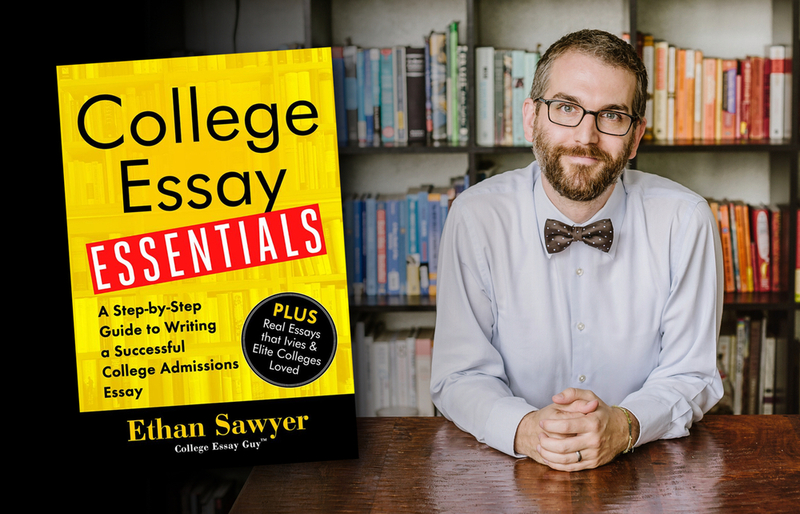 Receive early access to the brand new College Essay Guy Video Library, which includes 10 brand new videos. Get a heartfelt, in-person thank you. And a big hug, if you'll take it. Buy one or more copies of the book at its listed price ($10.77). Share on social media that you bought the book. Amazon will give you an option to share your purchase after you check out. Just click the SHARE YOUR PURCHASE button and post on Facebook or Twitter! Got one for my grandma even though she finished her essay a little while back. 4. Email the screenshot to [email protected] with the subject "Book Offer!" My brother, Nick, will send you the free stuff. If you're interested in a bulk order, email me directly ([email protected]) and I'll explain how that works.